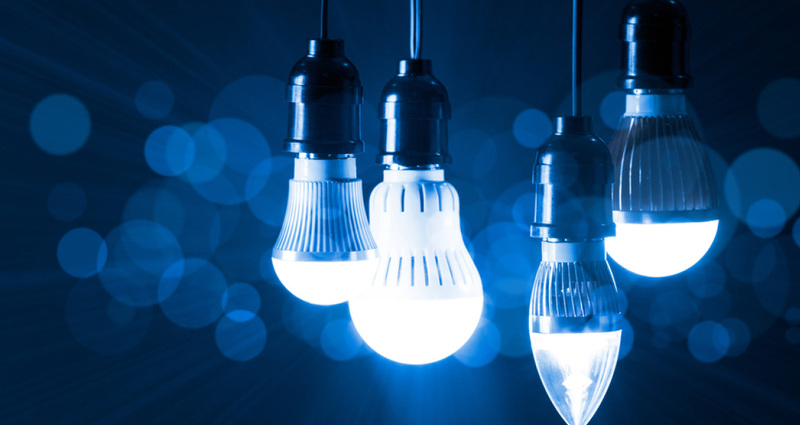 Akio Lighting, a company with decades of business experience had recently acquired a LED light factory in Pondicherry. 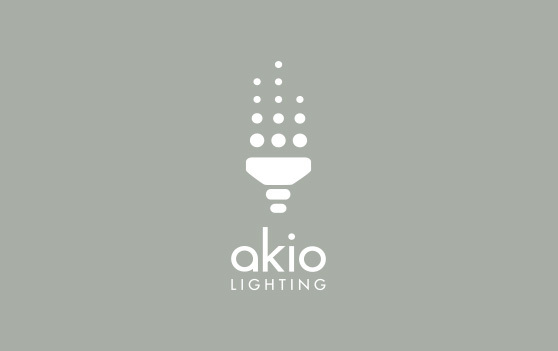 They wanted to rebrand their new acquisition. 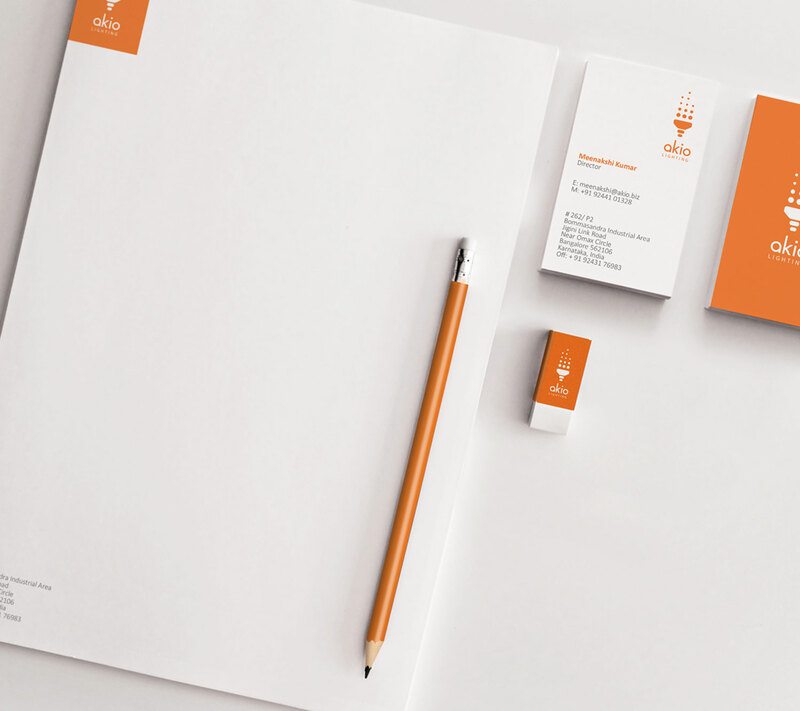 It was important for the branding to be both intelligible yet dynamic. 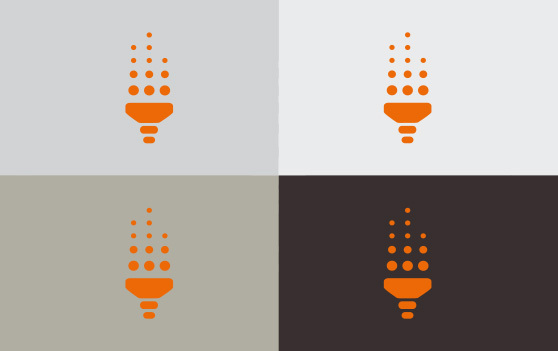 Through the graphic depiction of their highest selling product - the LED light fixture, we were able to effectively illustrate the product. 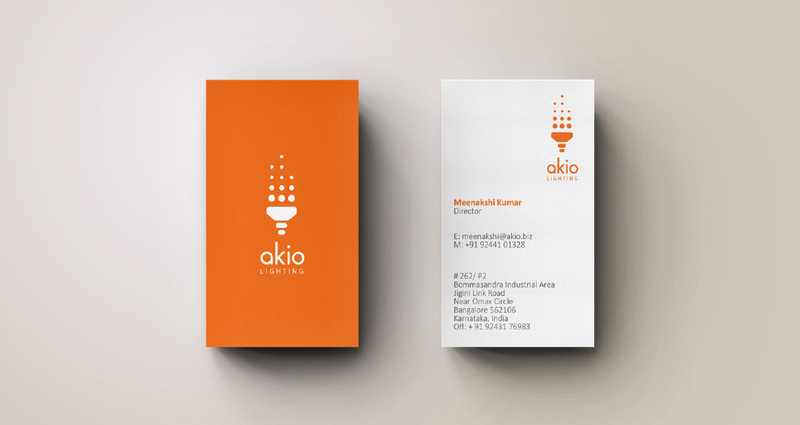 The use of dots of varying intensity, represent the movement of light rays in the logo. 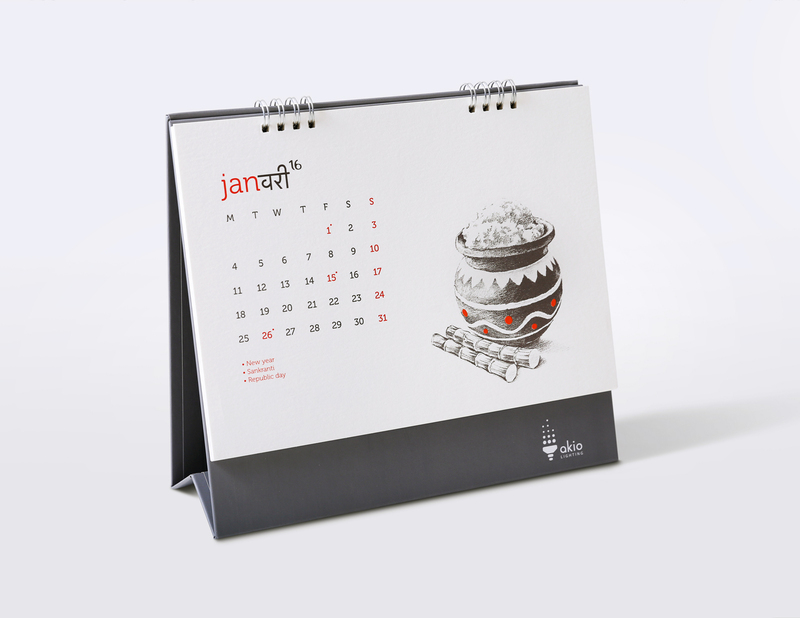 Festivals of India - a calendar to celebrate India’s vibrant festivals. 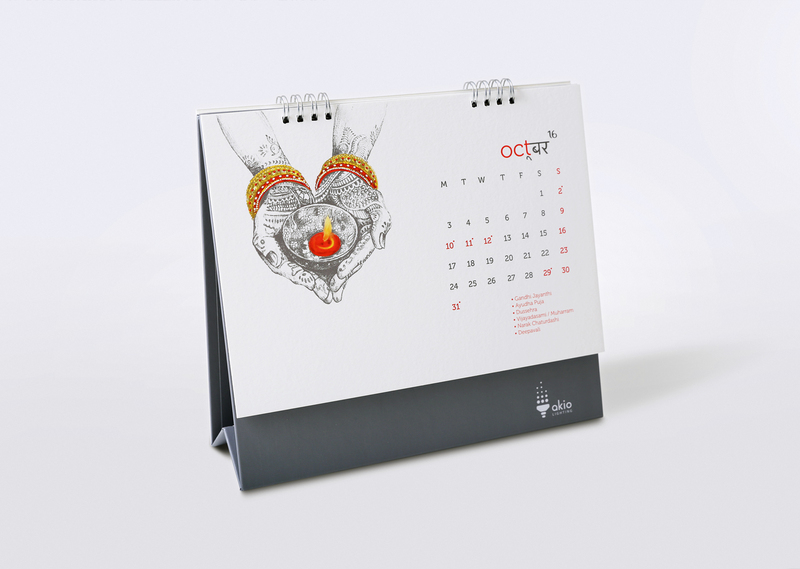 Each month of the calendar was dedicated to the festival observed in the same month, and featured a pencil sketch of a celebratory element associated with the featured festival. 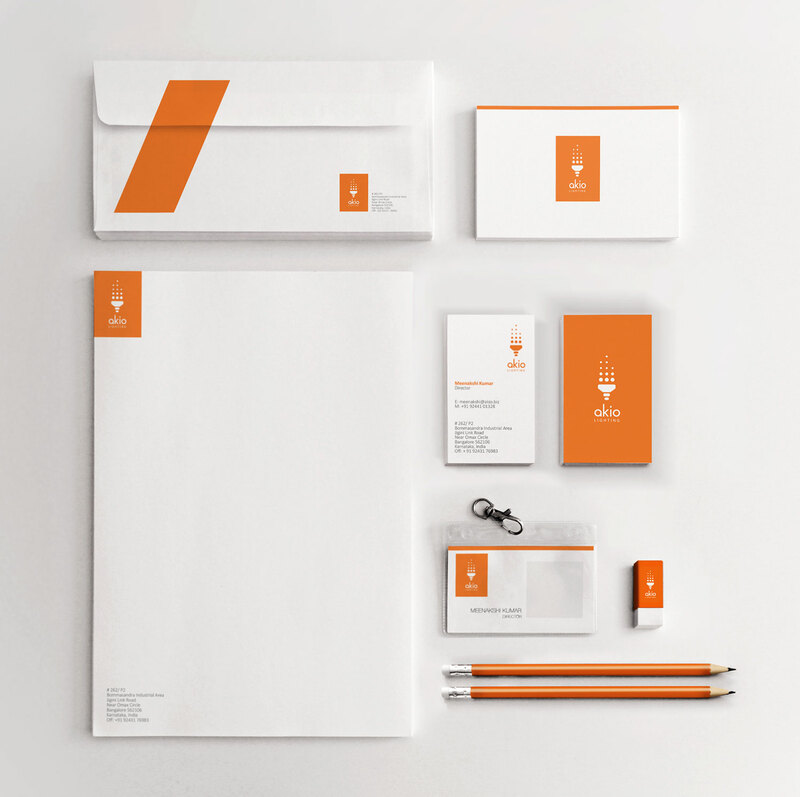 Predominant colours of black, white and orange were used to keep the design aesthetic understated and elegant. 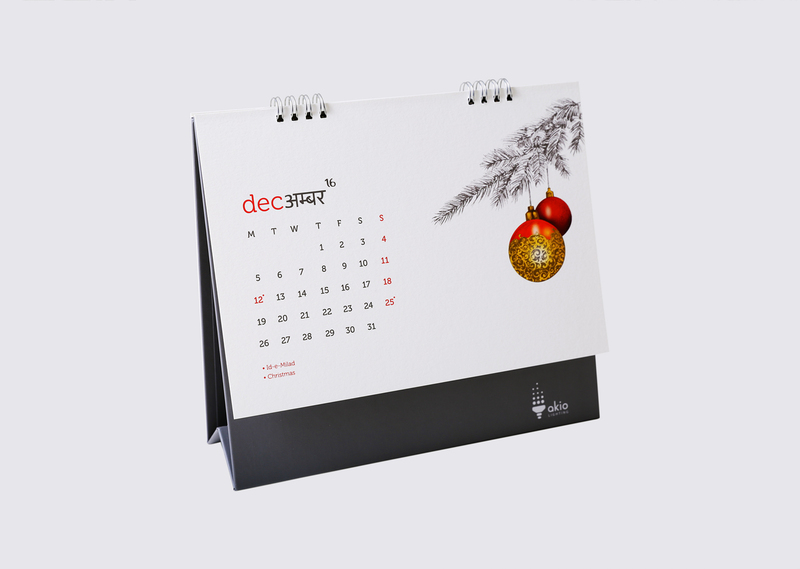 This calendar was designed for Arion Technologies, which is part of the same consortium as Akio Lighting. 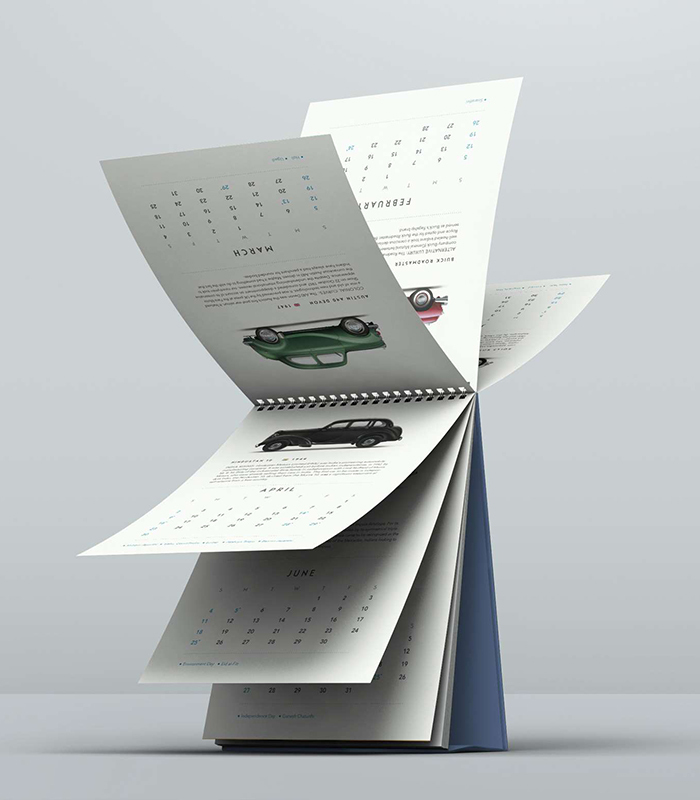 Arion is in the business of Cubic Printing, the technology that brings colour to products worldwide using multi-colored 3D printing without regard to shape or substrate material. 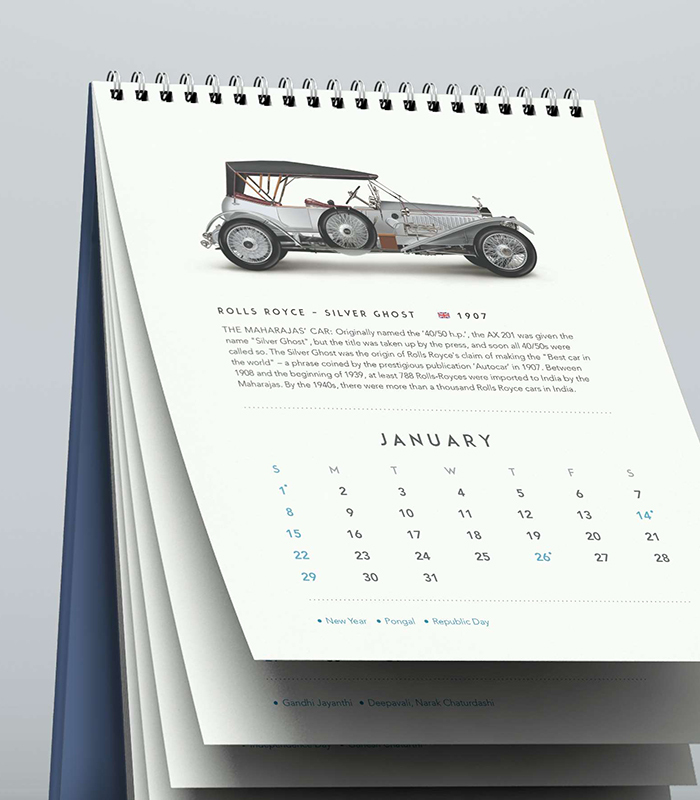 A major chunk of their business focuses on automotive interiors. 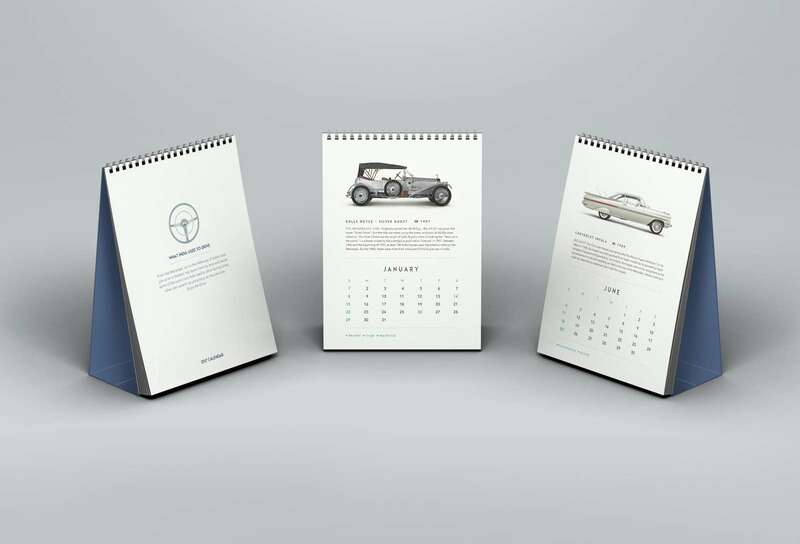 Given the automotive connection, it seemed apt to use motor cars as the theme for their 2016-17 calendar, showcasing iconic, vintage and classic motor cars that are memorable. 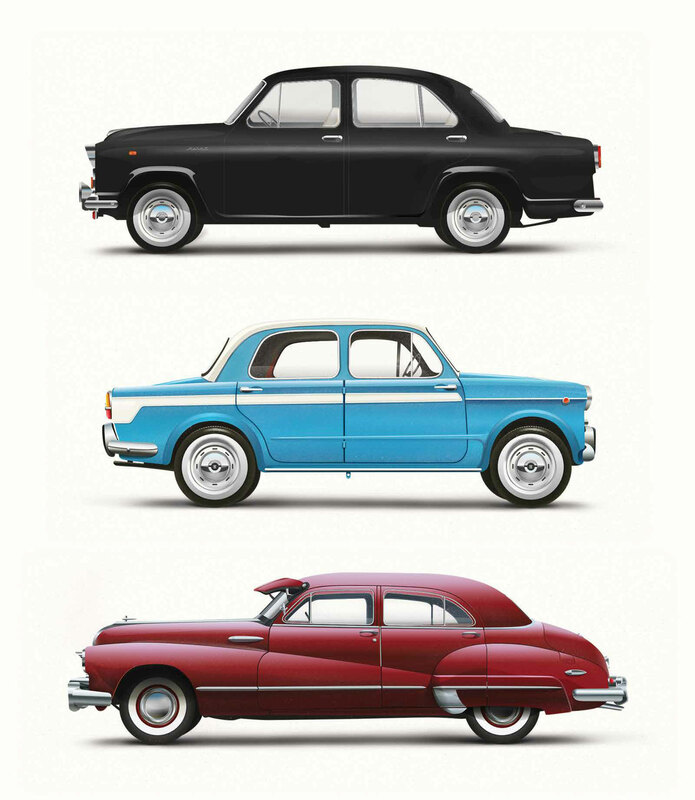 What India used to drive - from the Maharaja’s cars to the Maharaja of Indian cars. 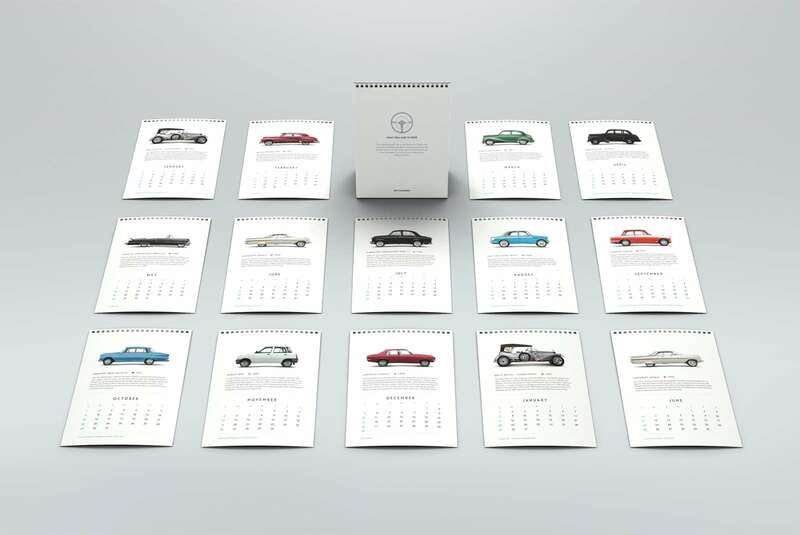 Each month of the calendar showcased a memorably iconic car that was driven in India from the 1900’s to 1983, giving the viewer a nostalgic look at a historic and classic range of cars. 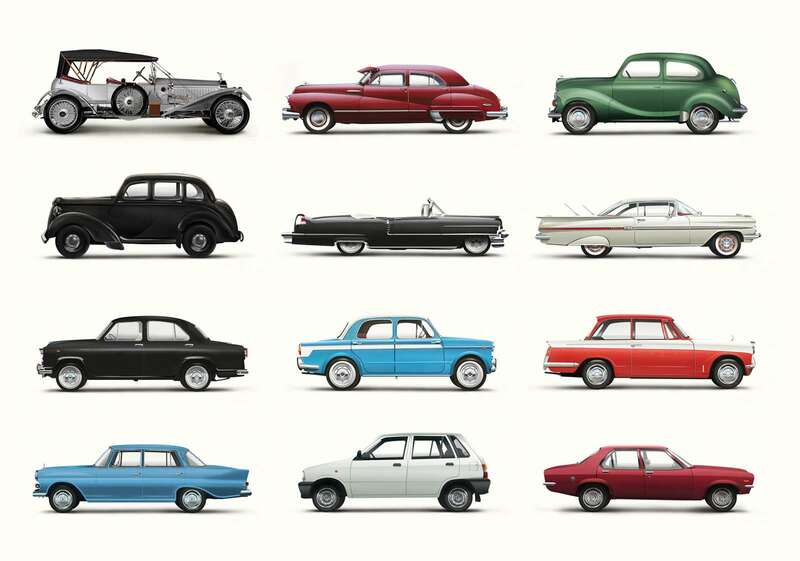 Each of the original illustrations depicting the cars were lovingly created in-house with much attention to technical detail.